1 June 2018 – As Saudi Arabia continues its crackdown on women’s rights defenders, the European Parliament has passed this Thursday an Urgency Resolution condemning Saudi Authorities’ targeting of human rights defenders and urging the Kingdom to reform the guardianship system. This Thursday 31 May 2018, the European Parliament, meeting in a plenary session in Strasbourg, adopted a Resolution on the situation on women’s rights defenders in Saudi Arabia, in light of the recent wave of arrests of women’s rights defenders in the Kingdom. Mid-May indeed marked the beginning of a new crackdown against women’s rights defenders in Saudi Arabia, as the driving ban lift has been, ironically, set to become effective by the end of June. Starting on May 15, authorities have arrested at least seven women and five men who have notably fought for women’s right to drive and for the abolition of the male guardianship system, in reprisal for their women’s rights activism. While four women have since been released, others detained activists’ whereabouts remain unknown, sparking fears of abuse and incommunicado detention, as the High Commissioner for Human Rights’ spokesperson noted this week. This new development has put Saudi Arabia high on the European Parliament’s agenda, prompting a strongly-worded resolution. Recalling that the recent arrests contradicts with the reforms announced as part of Crown Prince’s Vision 2030 agenda, including regarding women’s rights, it notes that “the male guardianship system, the most serious impediment to women’s rights, remains intact”. [See attached our factsheet on women’s rights in Saudi Arabia]. The resolution, which rightly addresses gender-based violence and discrimination, deeply entrenched within Saudi Arabia’s legal system, urges the Kingdom to adopt legislation criminalising violence against women and to end child marriages, forced marriages and the compulsory dress code for women. Overall, it calls on Saudi authorities to ensure women’s rights as laid out in the UN Convention on the Elimination of All Forms of Discrimination Against Women (CEDAW), which Saudi Arabia has ratified – although it still retains impermissible reservations. Beyond women’s rights, the text addresses some of the most pressing human rights issues in the Kingdom, including the State-led crackdown on free expression and assembly and the accompanying targeting of human rights defenders, calling for the release of all prisoners of conscience, including Sakharov Prize laureate Raif Badawi. Since 2013, Saudi authorities have, indeed, systematically arrested, prosecuted and sentenced civil society activists and human rights defenders, on vaguely worded charges that extensively drew on the Counter-Terrorism Law. No later than in mid-September 2017, Crown Prince bin Salman oversaw the arrest of more than 20 prominent religious figures, writers, journalists, academics and activists because of their expression. The resolution also urges Saudi Arabia, which remains one of the world’s biggest executioners, to “introduce an immediate moratorium on the use of death penalty towards abolition” and to review all death sentences. Since Mohammed bin Salman was appointed, the number of executions in the Kingdom has dramatically doubled, amounting to 53 so far in 2018 – a pace of executions which, if sustained, could total a record number of 200 executions for 2018. The resolution also calls on Saudi authorities to “end incitement to hatred and discrimination against religious minorities”, as the government continues to prohibit non-Muslim religious activities and to discriminate against Muslim minorities. The draft text was debated yesterday at the plenary session and garnered great support, mostly from S&D, Greens, GUE/NGL, ALDE and EFDD deputies. A number of MEPs have pointed out the discrepancies between Crown King Mohammed bin Salman’s reform promises, who repeatedly branded himself as a pro-women’s rights reformist, and the prevalence of Saudi Arabia’s deep-rooted patriarchal system which continues to make women second-class citizens. Along with MEPs Marietje Schaake and Petras Auštrevičius (ALDE), Ignazio Corrao (EFDD), Pina Picierno (S&D) and others, EP Human Rights Subcommittee Chair Antonio Panzeri called on Saudi Arabia to “transform its words into acts” and to stop fooling the international community. 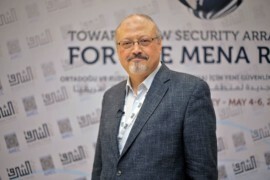 Amid allegations that at least two detainees are being held incommunicado and Saudi Arabia’s well-known record of abuses in detention, MEPs Charles Tannock (ECR) and Julie Ward (S&D) also raised fears that the detained activists’ rights to due process were being violated. Filling HR/VP Federica Mogherini’s alarming silence on the recent arrests – whom has not yet called for the activists’ release, as MEP Barbara Lochbihler (GREENS/EFA) noted, EU Humanitarian Aid & Crisis Management commissioner Christos Stylianides assured that the EU had “sought immediate clarifications” with Saudi authorities. While tentatively condemning the arrests which he viewed as a “backtracking” on recent reform promises, he reinstated EU’s commitment to support Saudi Arabia’s modernization efforts. But the gravity of the recent developments should prompt tougher action from the EU, including increased diplomatic pressure. Some concrete recommendations can be found in the EP Resolution which, inter alia, asks the EU to propose the appointment of a Special Rapporteur on human rights in Saudi Arabia, to address the situation of human rights defenders in a resolution at the next UN Human Rights Council Session, and to question the membership of states with questionable human rights records, including at the CEDAW. MEPs also call on the Council to “consider the introduction of targeted measures against individuals responsible for grave human rights violations” – “it is high time”, stressed DROI Chair Panzeri. The resolution was passed by 525 votes in favour, 29 against and 71 abstention, although attempts from EPP deputies to undermine Paragraph 8 of the resolution which firmly condemns the existence of Saudi Arabia’s male guardianship system S&D deputies, arousing the indignation of S&D deputies, including MEPs Post and Panzeri. ALDE MEP Ms. Schaake deplored that “the Christian Democrats, the largest political group in the Parliament, has again tried to water down a resolution”. ECDHR strongly welcomes this new European Parliament’s resolution which justly condemns the recent arbitrary arrests of women’s rights defenders while addressing death penalty, State-sponsored religious discrimination and the orchestrated crackdown on freedom of expression and assembly, and on human rights defenders. We commend MEPs’ efforts to push forward increased diplomatic pressure at the EU and EU Member States level, which offers a new glimpse of hope for the introduction of targeted sanctions, and urge the HR/VP to ensure the swift implementation of these recommendations. ECDHR condemns Saudi Authorities’ arbitrary arrests of women’s rights defenders and its continued crackdown on peaceful activists, and joins repeated calls for their immediate release. For more information, see attached our factsheet on women’s rights in Saudi Arabia.